'Doyenne du Comice' is perhaps the very best pear for eating raw! Its sumptuous flavour, fruity aroma and fine, fleshy texture makes this wonderful variety really stand out from other pears. Best eaten fresh from the tree, Comice is also delicious cooked - imagine making your own pear tart with your very own freshly picked pears! Supplied in a 5L pot, ready for planting now, this brilliant variety will give masses of fruit from September through to February each year it'll even fruit from next season! 'Doyenne du Comice' is perhaps the very best pear for eating raw! 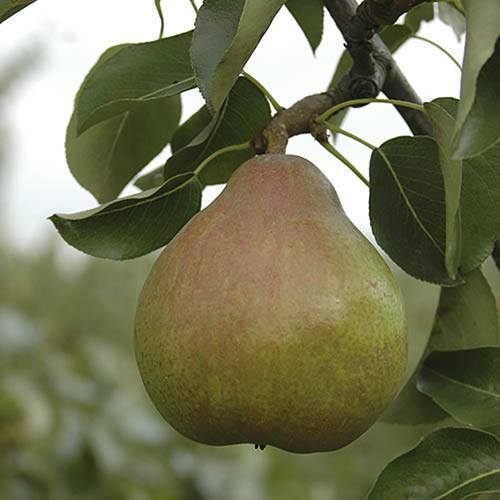 Its sumptuous flavour, fruity aroma and fine, fleshy texture makes this wonderful variety really stand out from other pears. Supplied as a 1.2m tall, grower quality, multi-branched pot grown tree. Grown on dwarfing Quince A rootstock. Will grow to approx. 2.5-3.5m (8-12ft) in 10 years. Fully winter hardy.